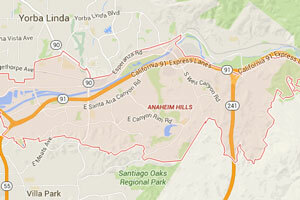 Don’t worry if you can’t find quality hydro-jetting in Anaheim Hills, California. Simply give Scott English Plumbing a quick telephone call. We make acquiring hydro jetting in Anaheim Hills feel easy. Our Anaheim Hills hydro jetting specialists are among the most skilled and seasoned professional plumbers you can imagine. If you want the confidence of a plumbing system that runs smoothly, you won’t be able to resist our five-star work. We understand high pressure water jetting in great detail. You can make an appointment for our exceptional service by getting in contact with our staff here at 1230 North Jefferson Street Ste H, Anaheim, California 92807. Reserve an appointment 24/7 by phoning our team at 714-987-9801 today. Our Anaheim Hills hydro jetting service is worth it for so many major reasons. If you regularly deal with the nuisances of persistent clogging on your property, you may be a great candidate for it. If you routinely deal with the irritation of drainage that just doesn’t seem to be of high quality, you may be just as solid a candidate. Our hydro jetting expertise can do a lot for your quality of life at home. It can provide you with a comprehensive cleaning session that you can’t even imagine. Hydro jetting has the amazing ability to deconstructive thick roots and clogs. It eliminates the presence of mineral deposits and gunk in general, too. Our hydro jetting service is always completely safe and dependable. We utilize H20 and H20 alone to wow you with our pipe cleaning savvy. We never ever utilize aggressive chemicals even for a second. If you want harsh chemicals like sulfuric acid to go nowhere near your piping, you can count on us. Our plumbing business offers customers service that’s the best of the best. We can show you hydro-jetting that’s everything you want and more. We can show you customer care that’s attentive, detail-oriented, patient and pleasant, too. If you have any questions that involve our high pressure water jetting skills, pose them to our five-star staff as soon as possible. Our employees are always devoted to helping our customers feel maximum confidence. Our hydro-jetting epitomizes five-star quality. It also epitomizes incredible value, wonderfully enough. If you want to take proper care of your pipes without spending a fortune on plumbing service, you can put all of your attention on our local company. We’re known for rates that are reasonable to the max. Our rates are never mysterious or confusing. Do you want to get on the track to top-tier plumbing at home? Do you want to leave an existence of headache-inducing clogs behind for good? Reach out to us here at Scott English Plumbing as soon as you can. Contact our staff to find out more about our hydro jetting magic. Schedule an appointment with us for Anaheim Hills hydro-jetting services today!